Has anyone done an artsy project recently? 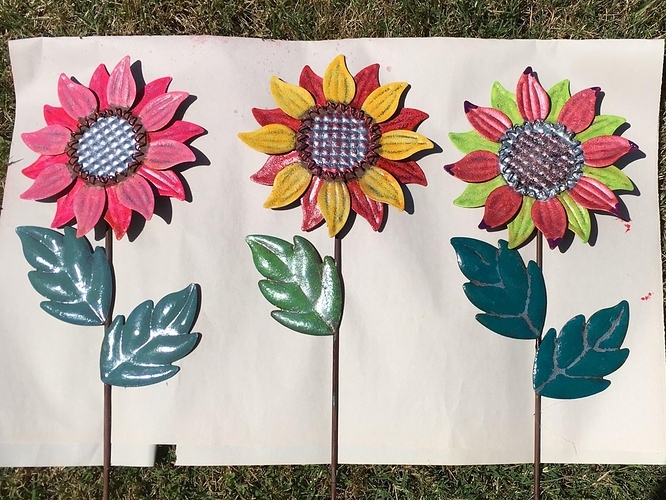 Years ago, my mother purchased some metallic flowers for our backyard. However, they’ve gotten sun-bleached over time and lost their color. So, my parents and I got a bunch of nail polish and repainted them. Mine is the one in the middle.